Musicality, good cheer... here, everything sounds good!! Whether you're road warriors, digital nomads or a family, the entire team at the ibis Styles Blagnac will be delighted to welcome you for a getaway in a jazz ambiance. 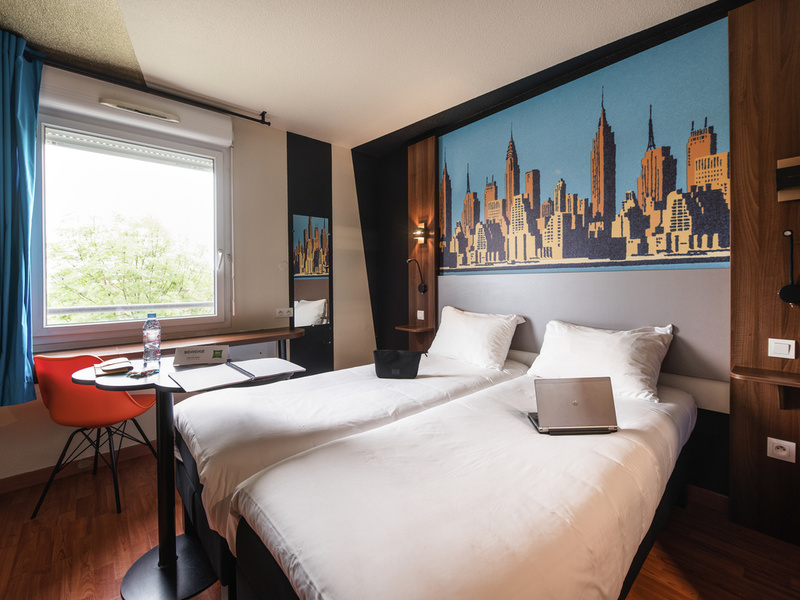 Breakfast and unlimited high-speed WIFI included in all rates for the 80 rooms at the ibis Styles Toulouse Blagnac Aéroport hotel, where jazz takes center stage. Spacious rooms renovated in original, soothing décor featuring Sweet Bed bedding, air conditi oning and soundproofing, for up to 4 guests. Take advantage of the 3 meeting rooms and our bar lounge area. Free car park. The hotel is 875 yards (800 m) from the airport. Our bar, a friendly place to meet any time of day and play the guitar, available at reception. Enjoy our snack selection 24 hours a day and our wide choice of drinks, including local beers and organic wines.